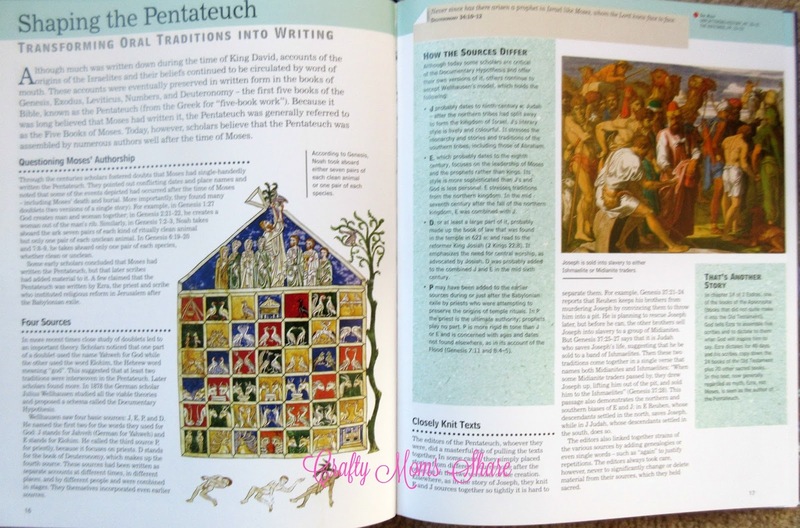 What was life like during the times of the Bible? Do you know? It is something that children wonder about all the time. It also helps kids understand some of the stories a bit more. 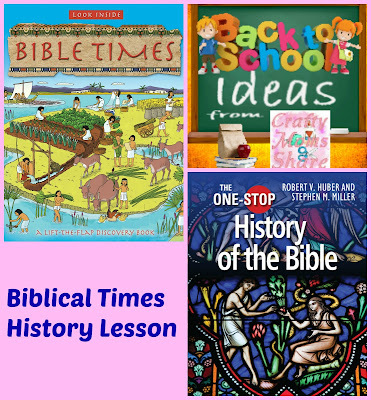 Today I am sharing two books that help with this and they are meant for different ages!! The first is for the younger kids. It is Look Inside Bible Times by Lois Rock and illustrations by Anthony Lewis. This book is being released in October! This fun book has flaps to lift up to learn more about the story as well as the time. It includes eight times of the Bible from Abraham in Canaan to Jesus in Jerusalem. 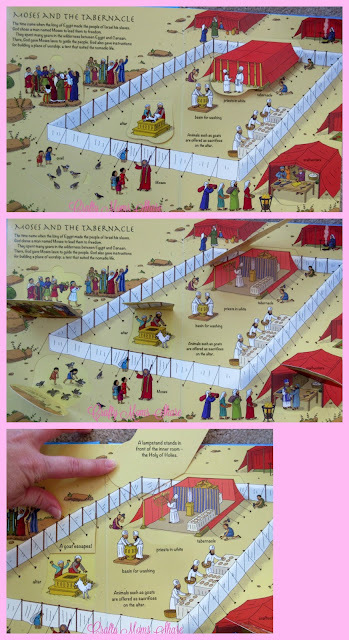 It gives a little information about the Bible stories from the time and then the pictures show what life was like. Inside the flaps gives even more information and fits into the overall picture even when open. 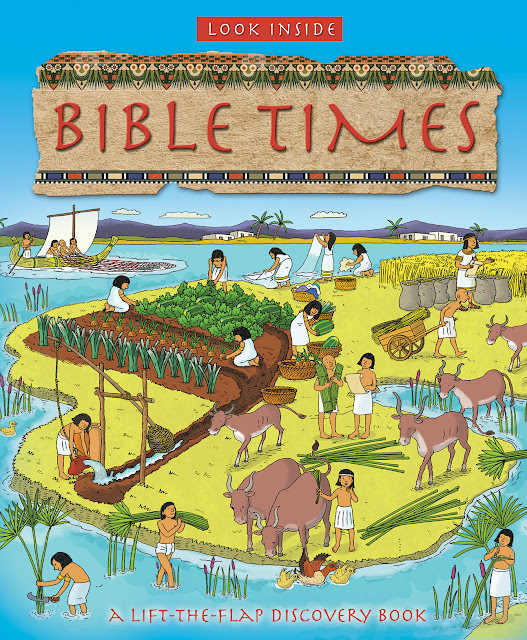 This is a wonderful way for younger children to learn more about Bible times and life. I know Hazel loves looking at it with all the amazing pictures and flaps. 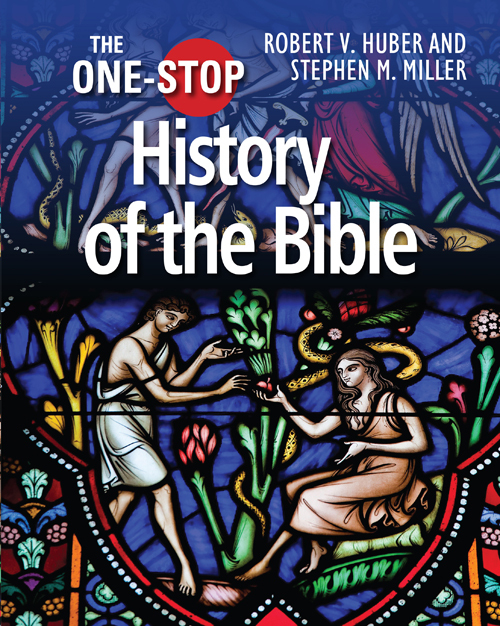 For the adults and older children there is The One-Stop History of the Bible by Robert V. Huber and Stephen M. Miller. This book as it says in the Introduction the stories of the Bible but rather the story of the Bible and how it came around as well as what was going on at those times. This book is divided into different sections: The Old Testament Takes Shape, The New Testament Takes Shape, The Bible in a Rapidly Growing Church, The Book of the Reformation and The Bilbe in the Modern World. Each of these sections has about twelve chapters (plus or minus two). I think this information is so interesting and really helps me with places I struggle with the Bible. It gives me an understanding of how the stories were written down, why there are different versions of stories (like Creation), and what was going on when it was written as well as translated. It delves into the politics, the social things and everything else that may have influenced it. It is full of so much information that you may never have considered or thought about but are glad to learn about. I know I am!! 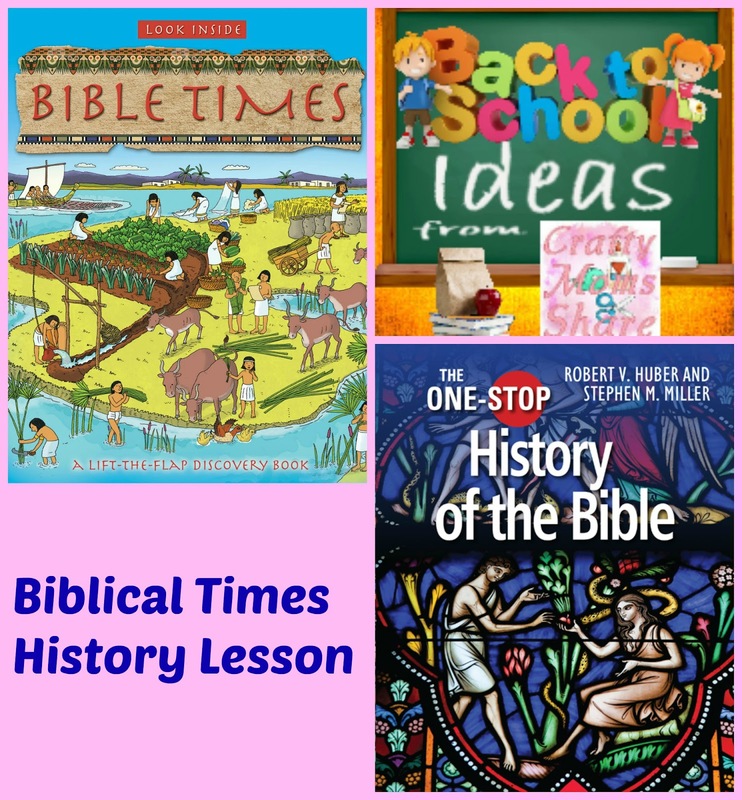 I hope you will check out these books and take another look at Biblical times with me.! !